THE FIRST EDITION SOLD OUT IN RECORD TIME, THE SECOND EDITION JUST AS QUICKLY. NOW IN ITS THIRD EDITION AND NOBODY HAS REFUTED MY ARGUMENTS. 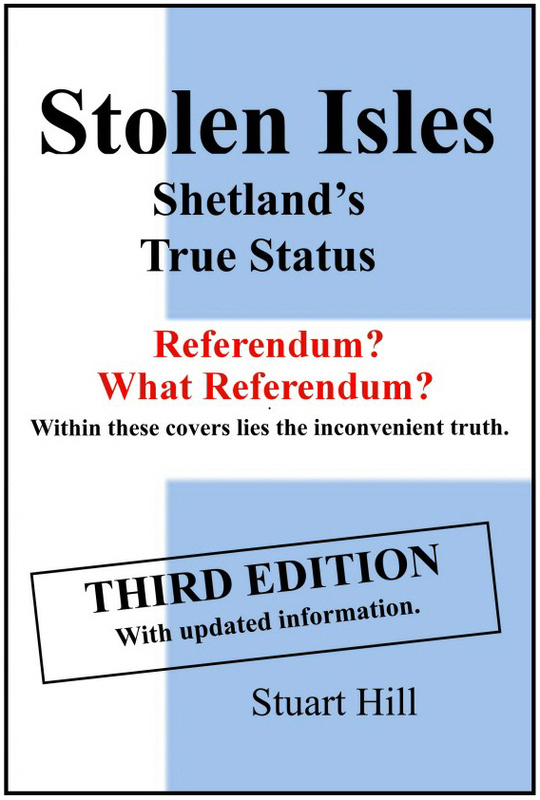 Hill’s research makes him question many of the historians’ hallowed beliefs about Shetland’s history. 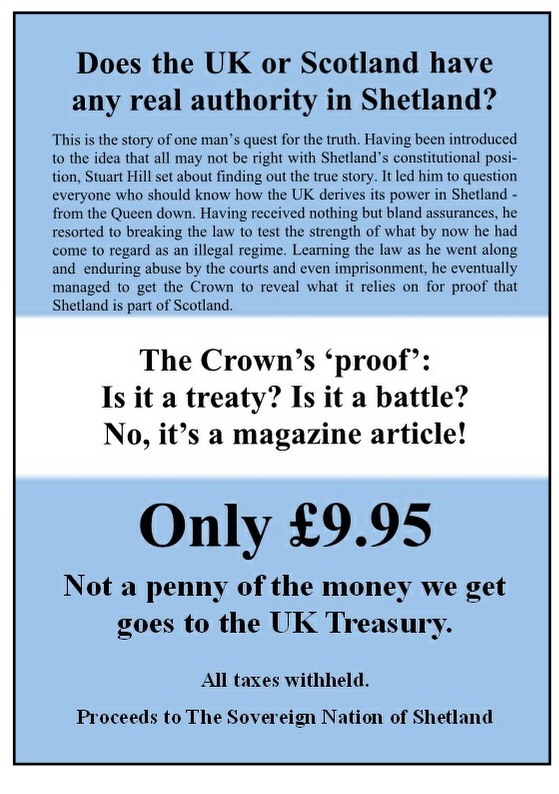 The evidence leads to some challenging conclusions that are starkly at odds with the official position, but are empowering for Shetlanders and anyone else seeking a peaceful route out of our current corrupt culture of war, scarcity and terrorism into a society with rules by which its members wish to live.